Is Queen St BBQ Festival A Lost Opportunity? It is said that innovation is the key to growth and finding new sales opportunities is very important in a tough retail environment. One of our senior traders, John Magno, has pointed out that next Sundays BBQ Festival was a sales opportunity for Specialty (General Merchandise) that has been missed and our CEO agrees. Sunday's festival in Queen St. will trade to 10pm, beyond the normal closing time for food festivals. In hindsight, the extended trading was an opportunity for other traders to join in the event, enhance its footprint, and provide welcome sales opportunities for all involved. It is not clear exactly how interested traders could be infused into a food festival on a normal trading day and this aspect will require examination. Jan Cochrane-Harry has proposed that the matter be formally raised at the next QVMAC meeting so that a guiding policy can be formulated. Creating a link between new initiatives and the wider possibilities for business will be a very positive step for QVM's trading growth. It all comes down to an entrepreneurial mindset by all participants in our market. 1. Dairy Bell closes down its ice-cream operations after 44 years. 2. Miss Chu Sydney and UK restaurants up for sale. 3. Harrold’s opens first womenswear store. 4. Harvey Norman reports strong Christmas. 5. Tesco’s long term credit rate slashed. 6. Brooks Bros puts strain on Oroton results. 7. Target closes Canadian store operations. 8. Rivers struggles to survive. 9. G Star Raw to look at smaller store size in Australia. 10. Roy Morgan says business confidence at lowest level since 2011. 11. CBA says Christmas spending growth lowest in more than 2 years. 12. Zara to open its first home decor brand store at Highpoint in February. 13. Gloria Jeans pulls out of India but heads for China. 14. Reject Shop reports profit slide despite stabilising sales. 15. China’s luxury market falters. At the end of October QVM announced tougher policies on the parking of storage boxes and vehicles. This was part of a move to clean up our market and largely supported by the trader population. Some traders are not abiding by these policies and they may need to review their arrangements and some may need to seek special consideration because the market is about to start enforcing the rules. Storage boxes have to be parked within a trader’s stall or removed to the enclosed M Shed or Franklin St. stores. Vehicles cannot be parked within the market unless allowed by the stallholder’s licence (in which case the vehicle had to be fully parked within the stall). The parking of boxes or vehicles in adjoining stalls or areas like String Bean Alley will not be allowed. At Thursday’s QVMAC Meeting, management announced that letters will shortly be sent to all traders advising of penalties to be imposed on traders who do not abide by these market rules. In the case of vehicles, traders who cannot park within their stalls will need to find alternative parking outside the market. There are parking facilities available in A’Beckett St. and other nearby locations. Boxes will need to be parked within stalls or removed to M shed and Franklin St. storage facilities. The demand for these off-site storage facilities exceeds demand so there will be some traders who will need to change their operations i.e. start to park their boxes within their stalls. There may be a small number of traders who will need special consideration and they are urged to contact their trader representatives so that an approach can be made to management. Examples may include traders with very narrow stalls on walkways where space is at an absolute premium. It is unlikely that any standard stall would qualify for special consideration. We are announcing management’s intentions in advance so that traders can inquire and make alternative arrangements well before penalties start to be issued. Please do not leave this until the last minute. 26/01/2015 13:02:01 Boxes and vehicles in stalls "Traders should be prepared to keep boxes and vehicles in their own area or transfer to an area which suits their needs. After 31 years trader Robbie has decided to hang up his T-shirt and concentrate on family matters. 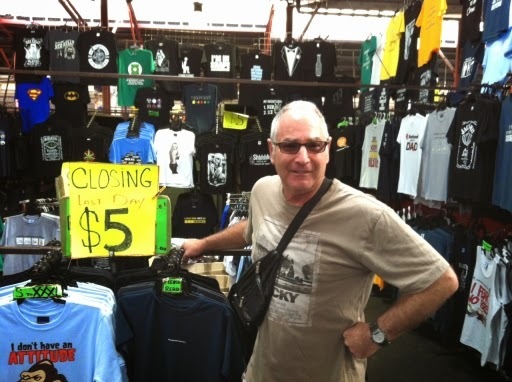 Robbie will be remembered for his passionate commitment to market trading and particularly for some of the most creative T-shirt slogans on the planet. 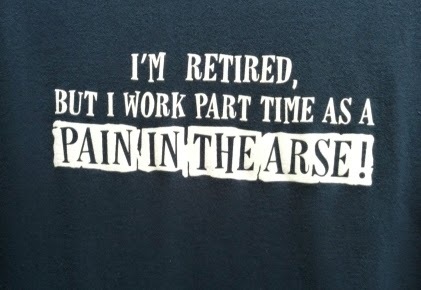 A fellow trader described his range as the “thinking man’s answer to T-shirt profanity”. We hope that all Rob’s wishes for the future come to fruition (with the exception of Collingwood winning another grand final). All the best Rob! We have received a few comments about the recent increase and here a two that came in via Have Your Say. 15/01/2015 11:17:39 Rent increases "It's now almost cheaper to rent a 100sqm space in the city, with power, water, gas, heating, cooling and if course a shop front address with doors and windows. The market used to be a thriving space, with 1000+ traders, but now with the highs rents, lower turnover, traders are leaving and finding long term traders is becoming harder and harder. 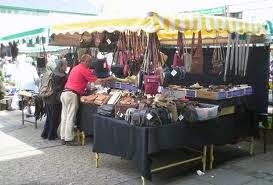 The markets used to be a place that small businesses started out, but these days you can go to the smaller weekend markets, pay a much smaller rent and try out your products, or if you can talk your way into a shopping centre or shop on a short term lease you can test your business on a month to month basis. Plenty of shops will lease on a short term basis these days while looking for a long term tenant. 24/01/2015 16:53:46 Rent increase "4% is twice the current inflation rate extremely hard on Traders many are behind in their rent at this current time. Stall Security - a trader who has fallen victim to thieves a number of times in recent months is asking whether statistics are kept on stall thefts and whether it is time to review our security arrangements. Special BBQ Event - a trader has pointed out that next week's Melbourne BBQ Festival (Sunday 1st February) is being held in Queen St. from 10am to 10 pm and asks if management considered the possibility of extending the day market to take advantage of additional trading opportunities. Homeart goes into liquidation – retail homewares chain, Homeart, has gone into liquidation with 116 stores impacted across Australia. Chinese tourism to triple – The Federal Government has signed a deal with China allowing almost triple the intake of Chinese tourists over the next two years. The new deal will allow an extra 4,000 seats per week in flights between Australia’s major cities and Beijing, Shanghai and Guangzhou. Chinese tourists added $5.3 billion to Australia’s economy in the last 12 months. Betta Foods goes into liquidation – the confectionery maker Betta Foods with turnover of $40m and 180 staff has gone into voluntary administration. Betta are manufacturers of Eskimo Snowballs, liquorice, ice-cream cones and other lollies with distribution to major retailers. The news follows a similar recent announcement from chocolate maker, Ernest Hillier. Debate over GST on food – The recent debate in parliament over whether GST should be extended to fresh food has not been lost on the cynics. Despite protestations from the Federal Treasurer that GST would not be increased in the current parliament, commentators are taking the debate seriously. Where there is smoke, there is fire. Smart Watches - the hype over smart watches is almost unbelievable as consumers become excited about digital content on their wrists. There are already a number of contenders in the marketplace including Samsung's latest which features its own SIM card. But the big focus is on the Apple Smart Watch which it is claimed will dominate the market and that watch isn't even available for sale yet. 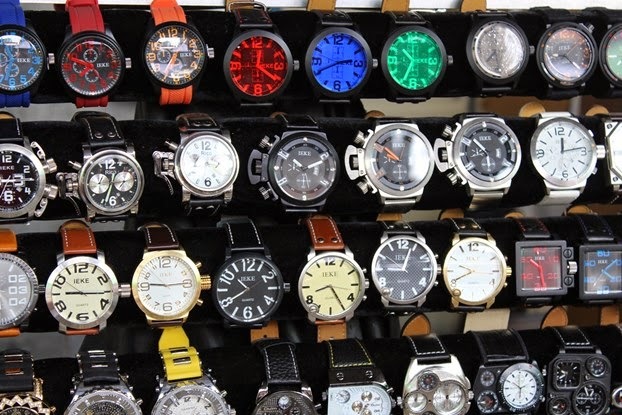 QVM has a number of dedicated watch sellers, each with a huge range of watch styles. 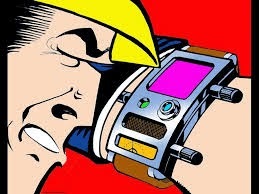 Is there room for some smart watches? designed that weighs itself. That's right - no more guessing, and no more embarrassing moments at airline check-ins. Traders can curse the restrictive weight limits imposed by airlines but our luggage sellers just may be able to cash in. The case shown could actually include features like phone charging and weather forecasting according to the manufacturer. 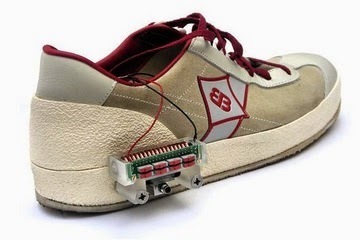 Charging Shoes - a German researcher is working on shoes that convert energy used in walking to electrical energy for powering devices. You may never have to charge your smart phone from a power point again. Harvesting methods include the force generated when your heel hits the ground and swinging mechanisms that use the energy when your foot swings forward. Any more products you would like to see at QVM? Let us know in Have Your Say below. Help - How Do I Prepare My Stall For Chinese New Year? Chinese New Year is a significant event in the New Year calendar. But what do I need to do as a retailer to make my stall relevant for this event? How should I decorate my stall to show that I support the festivities of a significant proportion of the Australian population and the visitors that flock to our shores? Preparing for Christmas was easy. My family traditions meant that I knew what was relevant - a bit of tinsel, plenty of red and green, and perhaps a Christmas tree or two. But what does one do for Chinese New Year. The QVM decorations will include a dragon and lanterns in the Food Court. Should I be hanging a few lanterns around my stall? What about some of those little red money envelopes? What I need here is some cultural advice. I don’t want to go over the top with decorations and I certainly don’t want to offend anyone. 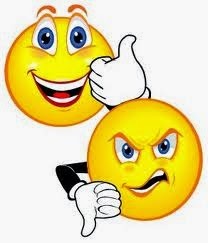 All advice is most welcome - and please comment on Have Your Say so we can spread the advice to all traders. There would seem to be plenty of good reason to turn our market into a joyous expression of good will and celebration during Chinese New Year. The pre-Christmas daily Trader’s Cash Giveaway Promotion turned out to be a real buzz at QVM with the combination of professional entertainment and a $500 daily bonus to a lucky customer proving a winner for traders and customers. But in the end, traders did not meet their end of the bargain. 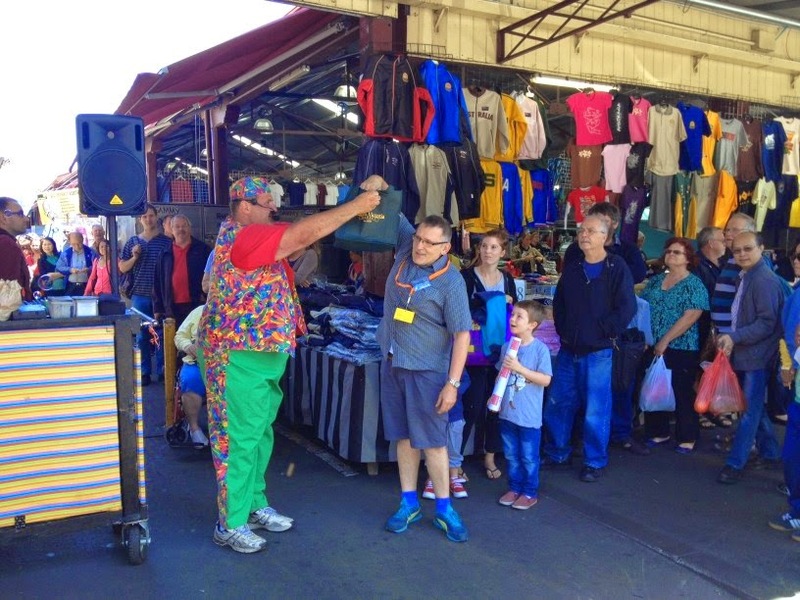 The promotion idea came from a trader who had seen it work well at a market in Tasmania. It was to be funded by each trader contributing $1 per day which certainly seemed to be a very cost effective form of marketing. At Thursday's QVMAC (Queen Victoria Market Advisory Committee) it was revealed that less than one fifth of traders actually agreed to contribute the $1 per day. Fortunately the shortfall was made up by QVM. Apparently some traders said they didn’t agree with contribution schemes. Others said they were happy to contribute to a parking fee reduction scheme, or to fund tourist buses but not to a cash giveaway. Some even threatened legal action if the contributions were deducted with rents. There were plenty of excuses. Traders are very quick to complain about business levels and to find others to blame for the parlous state of retailing. Yes – marketing our market is the prime responsibility of QVM. Yes – we already contribute to marketing through our rents. But individual traders also have a responsibility for their own marketing just like any other small business. The difficulty for us is to find cost effective measures that stand a good chance of working. This promotion seemed to tick that box. As far as we can determine, the Trader’s Cash Giveaway worked well and, at a cost of just $25 for the 5 weeks of the promotion, it seems remarkably good value. In fairness to traders, we didn’t know how successful it was going to be before it started, but now we have no excuse. Management have agreed not to bury the concept and a complete review will be conducted over coming weeks to see how it might be re-jigged and used again, perhaps in the lead up to Easter. Hopefully traders will be more prepared to reach their hands in their pockets next time around. The point is that a self funded promotion has a lot more flexibility. Traders can actually influence when it might be used. If we expect QVM to fund the promotion it will have to fit in with their budgetary constraints. It would be a shame to lose the concept that created such fun, entertainment and positive responses from customers. This is our promotion - let's hope we get it right next time. Sydney’s traditional February Gift Fair in has been expanded to include Design Life, a contemporary design source for aspirational style wares, and Fashion Exposed Revived for the best fashion accessories, apparel, and footwear. All three fairs will be conducted side by side at Sydney’s Olympic Park complex from Friday 20th February to Tuesday 24th February 2015. At the same time Reed’s will be conducting their retail gift fair at the temporary Sydney Exhibition Centre at Glebe Island which is just around the corner from Darling Harbour. There will be inter-connecting transport for attendees. Each of these trade fairs could provide traders with an opportunity to spruce up your offer for the coming year with some new product ranges and new supplier contacts. It is also a good excuse for a break at a time when business at the market is a bit quieter. This is Mercat del'encants in Barcelona. It is one of Europe's biggest flea markets and despite the grand appearance in this photo, it sells everything from rusty nails to antiques. Mercat del'encants has just undergone a major renewal and, typically of Barcelona markets, the architecture is quite stunning. The market has been transformed from an umbrella covered jumble of stalls shown on the left to the more orderly environment on the right. Some of the stalls show their wares the old-fashioned way - laid out ad-hoc on the ground while others have embraced more modern methods. The new market has added a variety of shop/stall alternatives which we will look at more closely in the next article. 19/01/2015 11:59:32 Barcelona renewal "To my eye the stall seem very smalls & a bit of a jumble. Goods on the ground, not a good idea from a visual & a health & safety point of view.the market does not seem to have a fluid flow. " Barcelona's Mercat del'encants is a recently transformed flea market with some interesting variations on shop and stall layouts. 1. Open floor areas where goods are laid out in a seemingly ad-hoc manner sometimes using tables, sometimes using the floor. 2. Areas with roller door storage boxes at the back and tables at the front. 3. Aisles of lock-up shops. The market is set out on a number of levels with car parking and services on the lower levels. 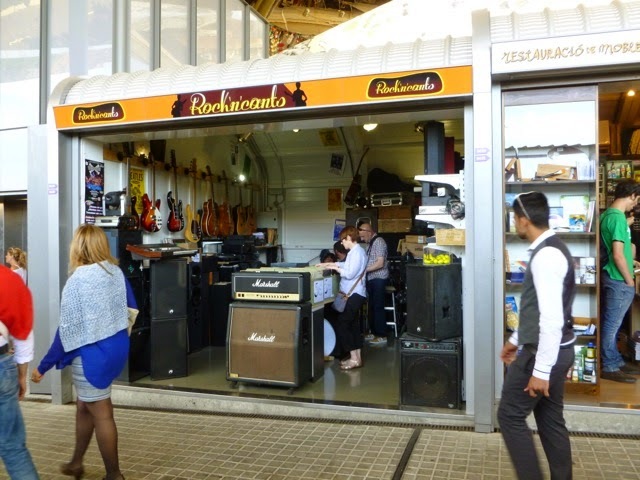 19/01/2015 15:29:06 Barcelona "The containers are tiny, the stall minuscule"
Some of the stalls, particularly those with roller door storage at the back, do look small. In the top photo the stalls on the left are walk-in lockups which are larger. The main trading floor does have larger stalls and the significant point would seem to be that there is a variety of options for traders. We have traders at QVM who would be perfectly suited to the smaller footprint and some who would embrace the in between walk-in stalls which are probably similar in size to the Therry St. market. Others would need the larger stalls for their display. 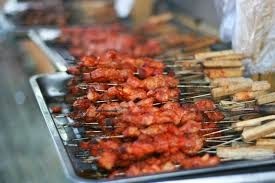 QVM have launched a new concept food event in Queen St. based around food on a stick. The event started today (Sunday 18th) and will continue on 9 more Sundays through to April in between other cultural events. The event was open to both day and night market traders and a couple of day traders will be participating. It is hoped that the convenience of food on a stick, at a reasonable price, will enhance the market experience for families and visitors generally. A beer garden will be set up at the top of Queen St. with live music to entertain customers and marketing will include collaboration with Melbourne Zoo in its plight to save the endangered Lord Howe Island Stick Insect. "Victraders Is Being Too Negative"
"Victraders is being too negative" according to trader, Lana, and there is merit in what she says. Lana's point is that much of what is happening around us in retail is not going to change, at least short term, and dwelling on the negatives is not going to help our businesses. Lana is talking about the various articles on Victraders that attempt to find answers to the global retail predicament. And she is right. As traders we need present a smiling face to our customers and concentrate on giving them good service and a reason to keep coming back to QVM. Mulling over the woes of retailing is not going to help our daily relationship with customers. We have a great market that has a lot to offer, and we need to embrace the positives. As we enter into a new trading year, the time is right to tweak our product offer, find some new concepts to excite our customers and freshen up our appearance. Thank you Lana. 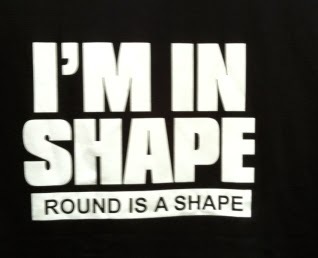 We can all do with some attitude refreshment from time to time. There is a sub-editors role going at Victraders if you are interested. - 80% of customers value real personal service – QVM traders are better positioned than most retailers to give that personal service. We interact, face to face, with each of our customers every day. - QVM is about to go through a major renewal with a prime purpose of creating a better trading environment for traders and customers. Trader, Mino, has supplied us with vision of a thief operating at QVM on Saturday 10th January. Mino has a security camera operating at his stall which enables him to view blackspots. Unfortunately he was distracted by a customer when the hooded thief got away with two of his handbags. It is possible that this was not the thief’s first activity at the market on that day because he is holding some socks in his hand without the usual carry bag. Traders who see this person acting suspiciously in the market again are asked to be alert and to contact security staff. Trader engagement at QVM has a high profile. Right from the start of the renewal process, the CoM and QVM have talked about the importance of consultation and engagement with traders so as to avoid the disasters of the past (the unsuccessful supermarket proposal in 2000 as an example). The result has been a comprehensive trader engagement process highlighted by the current one to one interview program. A recent article in the Harvard Business Review suggested that employee (trader) engagement programs had a very poor success rate. The author suggested that was because employee (trader) engagement often only looked at the work environment and not the employee (trader). 1. A study found a strong connection between increased age and an increased desire to keep work separate from after hours. Most Gen Xers and baby Boomers just wanted to finish work and get back to their home lives and family. 2. In one study the contributors cited individual activities like cooking, running, knitting, cycling or reading as strong interest away from work. When these contributors were expected to join in group engagement activities at work it was a problem for them. 3. One workforce under review involved mainly females whose relationships outside work were often with female friends. Some of the emotional issues of female friendships were being transferred to the workplace with unfavourable results. 4. One experience involved employees who tended to have a casual, laid-back lifestyle outside work and a CEO who assumed they wanted the same at work. In fact the employees valued the contrasting rigours of process and rules when they worked. Once again the engagement process was being impeded by incorrect assumptions. At QVM we can probably add in a number of different circumstances that might be relevant. We have a proportion of young traders with young families who have family realities outside their trading hours. Perhaps both partners work, and at least one needs the flexibility to manage children’s school and leisure activities. A change in trading hours at QVM could have a significant impact on family life. A strict adherence to profitability and work ethic is important for any small business, particularly struggling retailers, but we cannot ignore other demands. There are many aspects of the experiences noted above that have relevance for QVM. We all know traders in the older age group who appear to have lost their enthusiasm for retailing. We all know traders who are more solitary in their pursuits and have difficulty joining in group projects. There are traders who bring their away-from-work troubles into the market. There are traders who are concerned by the lack of policing new market rules and maintaining order and process in our market. And there are traders who find it very difficult to manage the competing interests of retailing and a young family. There are also many traders who are business driven and look for every opportunity to meet customer needs and expand their business exposure no matter what the cost to after-work lifestyles. The point of this discussion is that true trader engagement needs understanding of a whole range of factors. 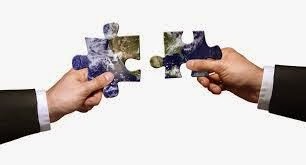 A robust engagement process, including things like one to one interviews, can find the best way forward. But one thing is very clear, and that is that flexible working arrangements will be the key. Giving traders choices in their working arrangements will give us the best chance of meeting the needs of consumers in 2015. Consumers have raised the bar. But this is not just about working longer – it is about working smarter. QVM is desperately trying to get locals back to our market. That is implicit in their desire to make QVM one of the great food markets of the world. Yes, we are growing our nearby customer base through a high rate of apartment construction but encouraging the wider population of locals to do their weekly shopping at QVM is a key part of our future. CBD car parking is expensive. There simply isn’t enough space and our city fathers are actively discouraging vehicles from entering the city. 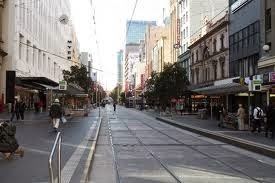 As the city spreads our market becomes more enveloped by the CBD “no car” mentality. But that is contrary to local shopping and particularly relevant when it comes to food. You can do some serious shopping at some of our new high profile clothing outlets in the city, let’s say some underwear, a shirt, pair of pants or a dress, a jacket, and some shoes and you are only toting around 3 kilos home on the train or tram. Try fitting your weekly food needs into that weight. That is why QVM needs adequate car parking and it needs to be competitive with suburban shopping facilities. Major suburban shopping centres wouldn’t think of charging for parking. They know that they need to make their retailers as popular and profitable as possible and free car parking attracts customers. They know that if they get the mix right they will be able to maximise rents and there is no point in double dipping. QVM on the other hand sees car park fees as legitimate income and the impact of fees on the retail trade done at our market seems of little concern to them. The fact that our car park fees are outrageously high when compared with our customer’s alternatives seems inconsequential. That is the major difference between major shopping centres and our market. Sure, when you compare our fees with the CBD we are competitive,but the CBD retailers are not our competitors. QVM’s competitors exist out in the fee-free suburban areas. This is a dilemma we need to fix. QVM needs to abandon its CBD mentality when it comes to car parking revenue and the closer management work to rent parity the less they can argue against double-dipping. 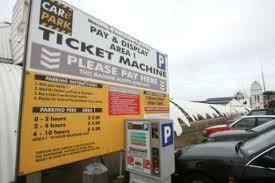 There is a way to give our customers free parking and we simply need to find the management desire to achieve that. 14/01/2015 20:58:10 car parking "A type of validation system would benefit our customers which could be stamped at the F1 office and the higher priced parking could be charged for non market shoppers using our limited spaces . An eftpos or hand written receipt by a stall holder could be used to verify customers. 15/01/2015 10:10:35 Car parking "I strongly agree that extended stays at the car park should be penalised with heavier costs but that in itself may cause problems for GM and take-away food – fresh food will be well served with cheaper short term cheap parking. I would have thought that shoppers who want to also roam the GM areas or stop to eat and have coffee would do so more leisurely. And so at what point in time do we charge more to $9 per hour? Is a stay less than 3 hours sufficient time for all areas to benefit of a visit?" Too Much Signage Can Be Too Much – An article on Inside Retail suggests that rather than inform customers with signage we should show them with professional merchandising and demonstrations. A good example is the fruiterer who rather than posting “Fresh Fruit” signs around his stall, actually cuts open delicious looking pieces of fruit for all to see. New Flights From New Caledonia – A customer tells us that the new direct flights to Melbourne from New Caledonia are cheaper and likely to generate more market customers from that part of the world. A Shop Refit Guaranteed To Bring New Sales – Monash University’s Department of Marketing says that a store refit generates 43-44 percent more sales to new customers and increases sales to existing customers by 7-10 percent. The report identified store re-modelling as a significant factor in improving sales performance. New Stall Concept - One of our traders is leaving his mark with a new Henna Body Art stall in the top end. 1. Government re-examines GST parameters. 2. Federal labour pushes for retention of weekend penalty rates. 3. KFC applies for in-store liquor licence. 4. Vinyl record sales on the rise. 5. South Korea’s online retail boom blamed for decline of traditional shops. 6. Australian surfwear brand, Mambo, bought by US company. 7. PM vows no changes to GST before next election. 8. Administrators start closing Man to Man stores. 9. Warehouse group issues profit warning. 10. Initial reports from Deutsche Bank suggests Christmas retail trade just average. 11. Marks & Spencer reports Christmas sales slide as warmer weather affects clothing. 12. Mountford Shoes seeks new owner for its 11 stores. Any discussion on the difficulties of retailing at QVM will usually involve a trader saying “Things are just as bad out in the shopping centres and on the high streets” and you find yourself wondering if that is really true. Well, new data suggests that it is true. The Australian Industry Group’s Performance of Services Index (which includes retail) stood at 47.5 for December. The index works on 50 as a median point with anything above 50 signifying expansion and anything below 50 indicating contraction. There are a number of sub-categories in Services and, as you would expect, Health and Community Services expanded although it was the only sector to do so. Hospitality and Personal and Recreational Services remained very close to 50 points but Retail declined further to 43.9 points. Weak local economic conditions, fragile consumer and business confidence, and slower growth in household disposable income are all seen as factors. A recent report in The Age has suggested that even our glamour mining states, WA and Queensland, have been really struggling as lower commodity prices and reduced investment impacts on the local labour markets. The old adage of a two speed Australian economy with mining states booming, and the other states stagnant, appears to be under question and that has implications particularly for the top end of QVM where interstate tourism is so important. If we need some good news, then lower petrol prices are significant. The reduction of around 40c per litre over the last year translates to savings of $6.8 billion for the Australian economy according to The Age and that means more disposable income for our customers..
We have received reports from the top end of QVM that the Tuesday between Christmas and New Year's Day was very busy. In fact one trader compared it with the Jehovah's Witness Thursday earlier in the year. But the question needs to be asked - are we taking advantage of the prime trading opportunities available after Christmas? Interestingly, our Path Intelligence data for the week before Christmas Day recorded the biggest crowd on the Tuesday. We look forward to seeing how the Tuesday between Christmas and New Year compared (data expected soon) but in the meantime let's examine more closely how we respond to the Christmas New Year period at QVM. Boxing Day- Boxing Day is one of the single busiest days of the year in Melbourne's retail calendar and yet our market closes. While city retailers are full of eager bargain hunters our aisles are empty. Boxing Day sales are a comparatively recent retail phenomenon having started in the late 1980's and it would appear that QVM has simply never embraced the concept. 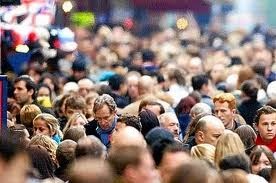 We are dominated by small family businesses and Boxing Day is often viewed as a chance for a family to relax together. For fresh food traders in particular the world seems to end on Christmas Eve and, apart from a surge on New Year’s Eve they have started thinking about taking holidays. Specialty Traders (General Merchandise) on the other hand are looking forward to one of their busiest times of the year as tourists flock to our city for annual holidays and special sporting events like cricket and tennis. Marketing. - the marketing push leading up to Christmas is strong and this year included our Traders Cash Giveaway. But while city retailers are madly promoting their post Christmas sales, our market backs off. Food traders are preparing for a quieter time of year and planning their holidays. Specialty Traders on the other hand are preparing for business. Does QVM's post Christmas marketing meet the needs of Specialty Traders? The marketing blog that feeds social media has continued its posting into the new year but essentially our next marketing push will be directed at Chinese New Year later in February. Monday/Wednesday Trading Opportunities. - if the special Monday and Wednesday trading days before Christmas were successful why didn't we take advantage of extra trading days after Christmas when city retailing is booming? The answer is that QVMAC Trader Representatives made a judgement call earlier in December that traders would be interested in extra trading days before Christmas, but probably not interested after Christmas (apart from food traders opening on Wednesday, New Year's Eve). Was that the right decision? These are all questions that require our attention and your feedback. As traders prepare for a new year and how they will re-invigorate their businesses we need to question all past practices. Do you believe we are taking as much advantage of post Christmas trading as we should be? Please comment below. 08/01/2015 20:43:51 Post Christmas "My belief is that trading on Boxing Day would not make any difference to us. We very rarely have 2 days in a row off and believe after working full on in the lead up to Christmas this is a very deserved break. Everyone knows that the first day back after Christmas is always a good day and I doubt we could compete with the marketing that the big stores invest in in the lead up to the boxing day sales. We must not forget that we are small family business and sometimes there are more things important than one days trade. Lets keep some tradition "
Steve makes a good point here and it accommodates the concerns expressed in the first comment. In the top end the special Monday and Wednesday trading days before Christmas were optional. Traders could choose to take advantage of the extra trade or not. QVM facilitated a special market in C, D, and E sheds so that there were no embarrassing gaps created by absent stallholders. From all reports that worked well. Traders who wanted to trade were accommodated and the market retained its professional appearance. Perhaps the same could be applied to Boxing Day and New Year's Eve. - Ed. 10/01/2015 21:57:10 Lost Trading Opportunities "...We must not forget that we are small family business and sometimes there are more things important than one days trade. Lets keep some tradition." - "I do totally agreed with this comment, there are more important things for family this time than money for just one day.....in a year of trading." There is no official heat policy for traders at QVM but as summer takes hold under our tin roofs it is a good time to review trading arrangements and whether we need more protective measures in place. The impact of heat can probably be measured in a couple of ways. Firstly the impact on individuals, particularly our older traders, and secondly, the impact on produce, particularly perishables. Wooden products are particularly prone to heat damage and products like fresh food, cosmetics and confectionary are also affected. The Victorian State Government has a Heatwave Plan which contains warnings for people most at risk in our community and one of those categories is the 65+ age group which includes a significant number of traders. During last week’s heat wave the following warnings were issued – “The Department of Health is issuing this heat health alert to notify you of forecast extreme heat conditions. You should respond in accordance with your heat plan. The Bureau of Meteorology has forecast temperatures above heat health thresholds for Friday 2nd January 2015 in the following weather forecast district/s: Central District.” A similar warning was issued for the Saturday that followed. The Melbourne temperature on those days reached 39.4C and 38.4C respectively, and of course under our tin roofs the temperature gets even higher. Last Saturday we measured an extra 3-4 degrees under the roof in K shed. Hardship and risk are part of operating small businesses. Traders understand that they cannot be protected from all contingencies but, when personal health is at stake, and a Government body recommends heat thresholds, we suggest that a policy is in fact in place. Traders who abide by Government health recommendations should not be penalised for taking heat related leave. 08/01/2015 17:42:37 Heat "We should not be penalized when the temp rises above 36 degrees,if we use our entitlement from our 4/8 weeksi it is gone. Surely management can appreciate this. " Management have advised that all PE and SL licence fees at QVM will increase from 1st February 2015. The increase is 4% which is in line with the standard SL licence agreement. Letters have been sent to traders giving details of the new fees. 15/01/2015 11:06:49 Rent Increase "So the QVM PTY LTD, have decided to increase our rent, another 4%, for the 2nd time within 12 months. This rent rise is well above the CPI index. Management tries to justify the rent increase on increase security and cleaning costs, but lets face it, the recent increase in costs would all be attributed to the SPECIAL EVENTS held in the market. Surely these events should have covered the costs, not us the market traders. General merchandise traders are bearing the brunt of his increase, but we are not seeing any additional cleaning or security services to back up these claims. I would also assume that the increased staff levels in the office would have had a massive increase the operating expenses, but that information is off limits to us. 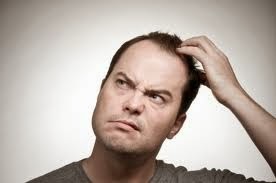 How many staff are now employed by the QVM PTY LTD? Do we require all these staff to run our market? The QVM Marketing Blog has again been updated with some New Year's resolution suggestions incorporating trader's products. Click on the link under SPECIAL LINKS in the right hand column to checkout the latest in the QVM social media feed. Victoria Niewalda has advised us that black trestle covers are now available from the QVM office for just $12 each. You can pick up them up when you go to the office to pay your rent. If a stall makeover is on your todo list for the New Year then this is something you should check out. Why are we writing about fuel prices on the QVM traders blog? Discretionary consumer spending is at risk from a lot of factors and the amount our customers have to spend on energy has significant impact. The less our customers have to spend on fuel, the more they can spend with us. And the fall in petrol prices is significant. Prices of $1.50 per litre were common 6 months ago and today we are down to $1.10 per litre which probably translates to a saving of $10-$20 per week for many motorists. And maybe that makes a trip into QVM a little more palatable for shoppers. 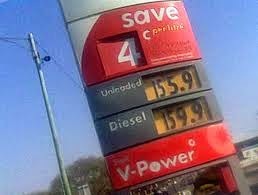 So, why are petrol prices falling and, more importantly, how long will this last. Essentially, the industry is experiencing over supply. A lot of smaller producers have come into the market over recent years and they are contributing to excess oil so the price is dropping as producers scramble to maintain their share and their production levels. Shale oil producers in the US are a good example of new production. The cynics would suggest that the big oil producers are deliberately reducing prices to squeeze out the new smaller operators who have significantly higher production costs, but we don't claim to be experts on these matters. Suffice to say, the fall in petrol prices is welcome for many reasons and it would appear that it will be maintained for some time, perhaps even a couple of years. But we are just a humble trader's blog so no promises. Some New Year Resolutions If You Can’t Think Of Any. Coming up with meaningful things to do in the new year can be a real pain so we have decided to take the pain out and write some suggestions that will get you ahead in 2015. You can pick all of them or just one – go on, have a go! 1. Email a customer or a group of customers and tell them about a new product you have introduced for 2015. 2. Put your mobile phone in a safe place when you arrive at the market and then just check it once or twice during the day but don’t let it distract you. 4. Change your table cloths. 6. Write to a supplier and tell them you want 10 exciting new products. 7. Establish some sort of online presence (email info@qvm.com.au and write – “I would like a presence on the QVM website”). 8. Print your own business cards. 9. Ring your bank and say “I want a mobile EFTPOS facility with PayWave”.